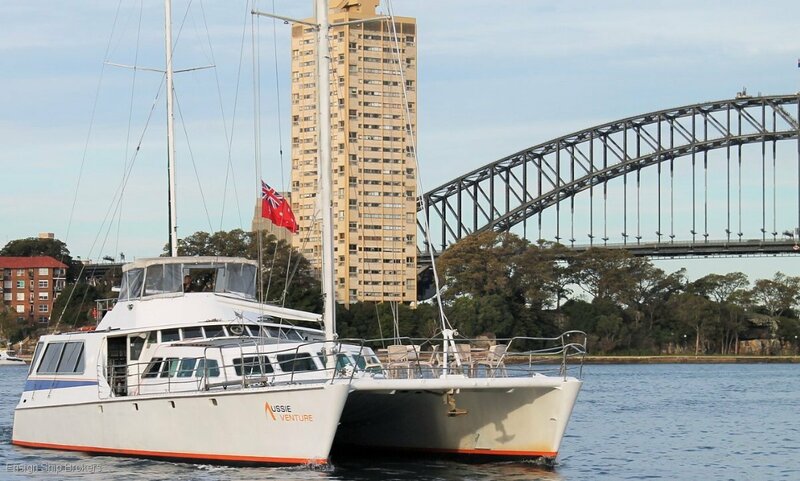 This aluminium 20 m twin masts Catamaran was built by John Collins and has been an effective Charter/ party boat in Sydney for two previous owners. Just repowered by two new Caterpillar CA3054 100 HP engines. 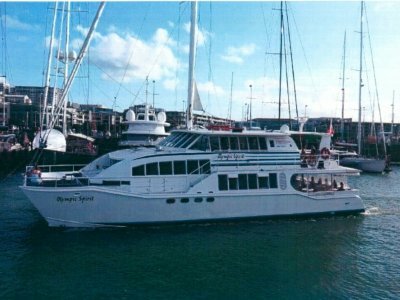 In current NSW survey this vessel is well constructed for Island works or coastal passages. 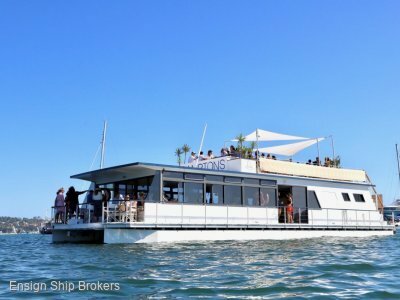 With a present capacity of 80 passengers plus crew, this boat is polyvalent with a large foredeck and a wide main dance room aft. She is equipped with a professional galley and another secondary large saloon under the cockpit forward from the galley. She has a single station steering on the Flybridge. 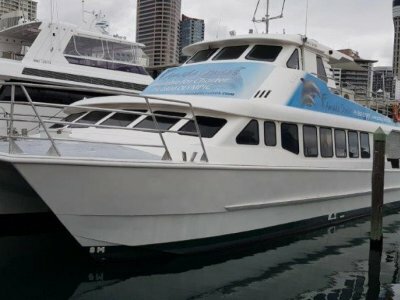 This is a money maker for an experienced or a new operator specialized in party, whale and dolphin watching, snorkeling, fishing, wedding or dance parties. Aussie Venture is powered by two reconditioned small but efficient Perkins 1104. They are giving a very good fuel efficiency for harbour or Island works. 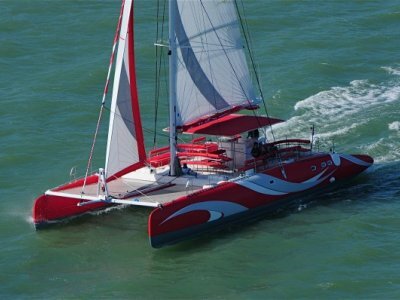 About 7 knots cruising speed under power and under sail she can achieve speeds way over 10 knots. The vessel can also be improved for a private user by arranging accommodations in the large spaces available both forward and aft. This is a rare opportunity to acquire a vessel of this quality and this size both for commercial or private use.